I’m playing around with the idea of looking for an agent in 2015. And I don’t mean sending a manuscript to this agent or that agent when I likely name crosses my path; that was my 2014 agent search. If I’m going to LOOK for an agent, I need to get serious and that means going through the SCBWI agent guide, going through all the printouts I’ve saved and doing some serious comparison and contrast. One of the big things that I’ll be looking at is whether this is a new agent or an established agent. There are pluses to submitting to a new agent. New agents need to build a client list. They need to find new clients. New agents are often the ones granting interviews and going to conferences because of #1. This means that it is easier to find out about them — whether they are editorial agents, what they like, etc. New agents don’t have as many estaliblished clients taking up all their time. 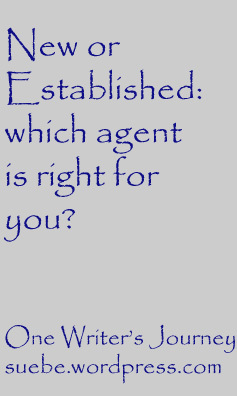 An established agent has a client list and can be pickier about what new work they sign, but there are also pluses to established agents. Established agents have more contacts. They can get your manuscript read by editor you can’t approach. They have a track record. A google search will show you what an established agent has sold and often find comments (hopefully praise) from their authors. Still not sure which way I will go hungry and new vs established and well-connected. Which choice would you make? As writers, we struggle to find just the right word to get our point across. After all, the character who cavorts is quite different from one who quakes. Maybe this quest for just the right verbage is why I found this talk (see below) by lexicographer Erin McKean so interesting. Hint, a lexicographer is someone who makes dictionaries, and that’s probably a big part of why McKean encourages people to create the words that they need to say what needs to be said. New words and word usages keep her busy! Borrow from another language. As we don’t tend to give these words back, McKean calls it what it is, stealing, but the linguistic term is borrow. English is full of borrowed words — canyon and coyote. Compounding is, rather obviously, creating compound words like bookmark, bookworm and bookplate. Blending is similar to compounding but parts of the original words are dropped. Motel has been part of our language for so long, that most of us have forgotten that it combined motor and hotel. McKean is truly a fount of information. Next comes the functional shift in which you change a word’s part of speech. The most interesting example that McKean gave was commercial which used to be an adjective before it was used as a noun. Back formation is a lot like blending but it is when you create a new word from part of a longer word. Not sure what I mean? The word editor came into use before the word edit (another of McKean’s examples). Last but not least, you can form words using acronyms. 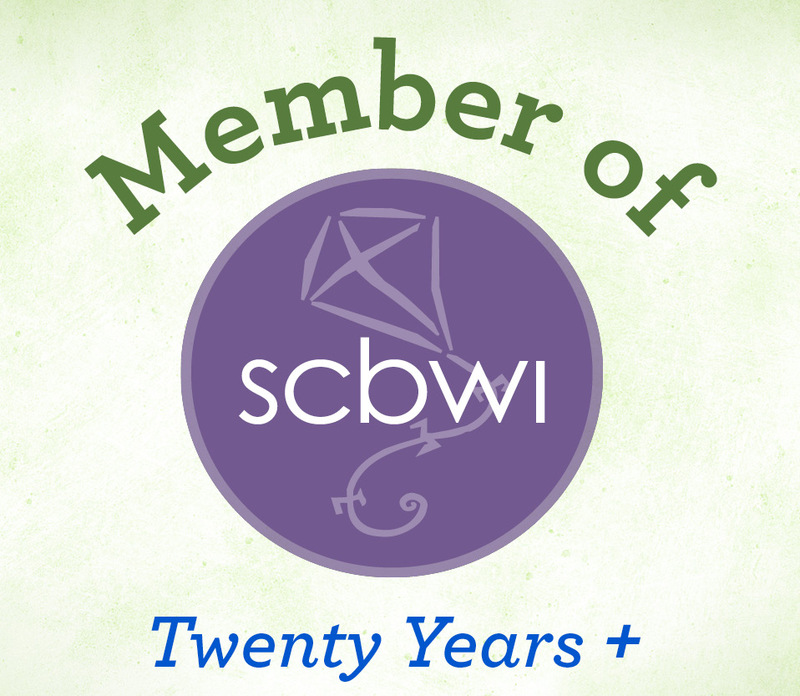 Just think about how much easier it would be to say that you belong to (skib-wee) vs saying each letter in SCBWI? Don’t like that one? People sometimes forget that awol is an acronym. Having a character create a new word would be one way to show your readers what is important to him. In fact, it was so important that he had to come up with a new, more specific word to show others how he felt. Maybe this is something that you can use in your own story. Check out McKean’s talk below and be sure to click on the link for her list of readings on the topic. 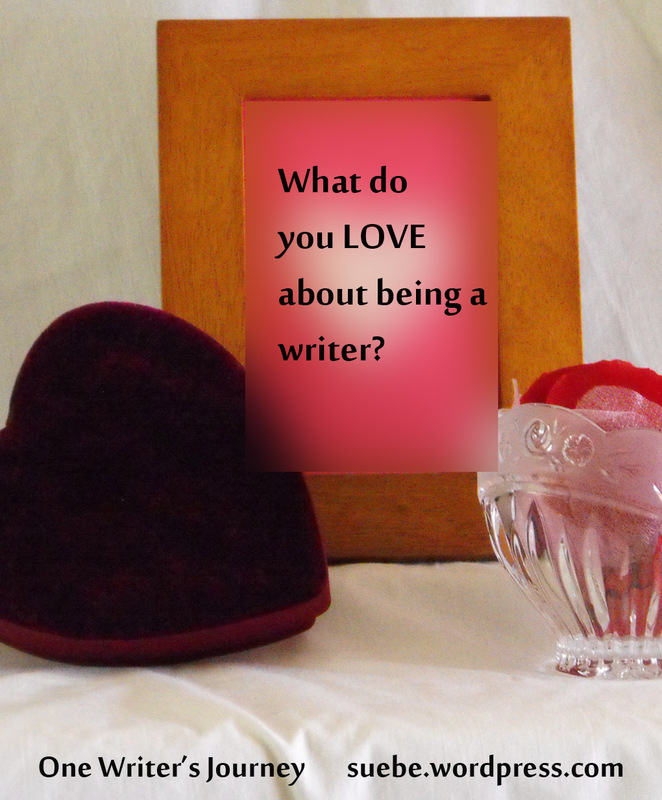 What is it that you love most about your writing? There really isn’t a right or wrong answer to this question. Because I write so much nonfiction, one of the things that I love is that my writing allows me to share strange and unusual facts with young readers who love this odd tidbits just as much as I do. Academia would have made an attempt to pigeon hole me. Writing for children let’s my interest fly free. Not only do I get to share these facts, I get to find them, to research them and to collect them. Visiting museum exhibits, watching documentaries and reading — I get to do them all in the name of work. I love talking to young readers about my work. The most fun for me personally is talking to my son’s friends. They want to know what I’m researching now, when is the book due, how long is it and more. Some of them are bolder than others. They are the ones who freely tell me what I should be writing about. Every time I see one young man, he reminds me that I should be writing fantasy, not fiction in general, fantasy. Why? That’s all he reads. He’s also the one that discusses his own book idea with me. He doesn’t seem especially worried that I’m going to take this idea and make it my own. Maybe that’s why he keeps asking if I’m writing fantasy — am I still a safe sounding board? We all write because we love it, but sometimes the love wears thin. If this has happened to you, read yesterday’s post on the Muffin and regain some of this affection. The Collaborative division of Alloy Entertainment is looking for manuscripts. They want to acquire up to twelve partial or complete manuscripts per year. The emphasis is on women’s fiction, young adult, middle grade, and chapter books. The Collaborative and the author “shape” the manuscript together and then determine the “steps for publication.” I’m not 100% certain what they mean by this, thus the quotes, but it seems that they put the piece through the editorial process, acting as agents. Why do I say acting as agents? Because they developed How to Love by Katie Cotugno, a romance told in alternating Before and After chapters. This book was published in October 2013 on Balzer & Bray’s list, an imprint of HarperCollins. The Art of Disappearing by Elena Perez, a novel about a girl learns she may be psychic, launched as an e-book in August 2012, this time under Alloy Entertainment. The Collaborative is reviewing full or partial fiction manuscripts. No scripts. Those without an agent should send query e-mail that contains a brief overview of the book’s premise and the authors writing background. Also, attach the first five pages of the manuscript as a Word Doc . You can check out the details on the Alloy website. Merry Christmas, Everyone! To those of you who celebrate, I hope you are having a peaceful and love filled day. My son has been off school all week and goes back next week. Although I’m blogging and reading for my next project, I doubt that I’ll get much else done but that’s okay. We all need down times so that we have experiences about which to write and the energy to do it. Fortunately/unfortunately, I know the house will be full of boys at least twice but probably more often than that. They’ll inspire me in many ways, which is fortunate, but I’ll also have to feed them! As grandma would say, they eat like a mess of field hands. That way you’ll be ready to get to it in 2015. Research: What Sources Should You Use? When I begin a new project that requires research the first thing that I do is do a library search. I request nonfiction for adults and children and also do a database search for articles of all kinds. Although I read the material that has already been published for children, these are not my sources. These are my competition. I want to see what they’ve included so that I can deal with the information in a different way. Sometimes this means including new findings that they didn’t include. Sometimes it means letting my readers in on a controversy. Other times it simply means using an organization that is more appealing or less intimidating or confusing. The actual research materials are the adult materials that I have gathered. Some of them are secondary sources; others are primary. Primary sources are eyewitness accounts, first hand materials, one degree of separation from the actual event. Interviews, scholarly papers, National Geographic articles, documentaries, and photographs all fall under primary sources. 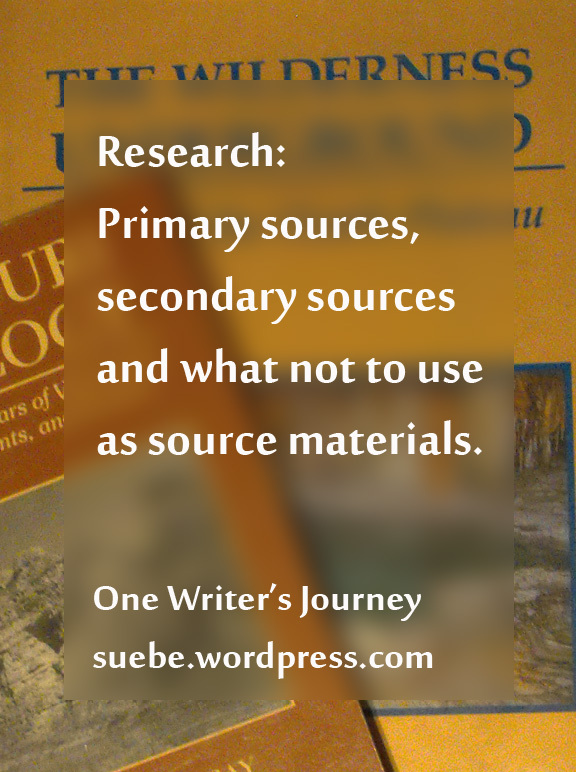 Secondary sources are books and articles based on primary sources. At best, there are two degrees of separation between secondary sources and the actual event. That said, read them as well. They can often clue you in on a topic you need to look for in the primary sources and may also be the source material that you need to use when the primary materials are not available. How many sources do you need? It depends on what you are writing. My book on the Ancient Maya had 51 sources. My book on Pearl Harbor had 78. I have no idea how many sources I’ll need for my current project, a book on the Cuban Missile Crisis. The word count for this book is less than a quarter of the count for either of the other two. Somehow I doubt that the bibliography will reflect this but I won’t know until I turn in my finished draft this January. Do you have a writing gift for yourself this holiday season? If not, or even if you do, why not give yourself a gift of motivation and encouragement to rewrite osme of those picture book manuscripts? Revimo 2015 runs from January 11th to the 17th. This is year for this weeklong event that encourages writers to get out those picture book manuscripts and rework them. That manuscript that needs one more gentle massage before you submit it? A perfect candidate. The manuscript that your group critiqued but you’ve simply not gotten around to reworking? Get it ready. The manuscript that you loved until someone panned it? This is your excuse to love it again. 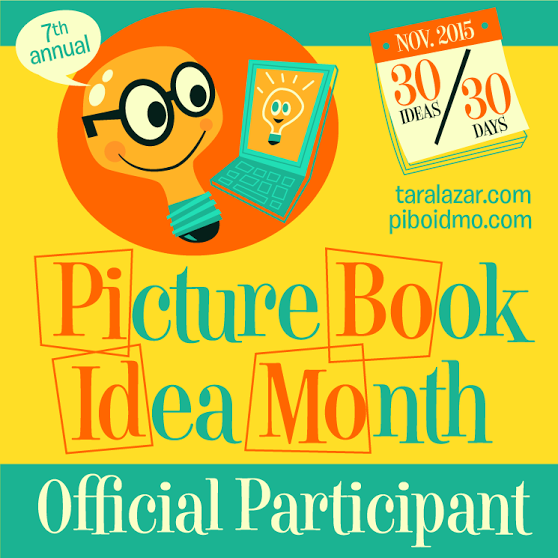 Sign up for this challenge at Meg Miller’s Blog. There will be inspirational blog posts and prizes for those who revise four or more times during the challenge. I’m going to be roughing out a book on the Cuban Missile Crisis but this is my excuse to work on some other things that I’ve left sitting on my desk for far too long. Do you have a short mystery (750 words or less) for young readers? Then get it out and polish it up because you are in luck. 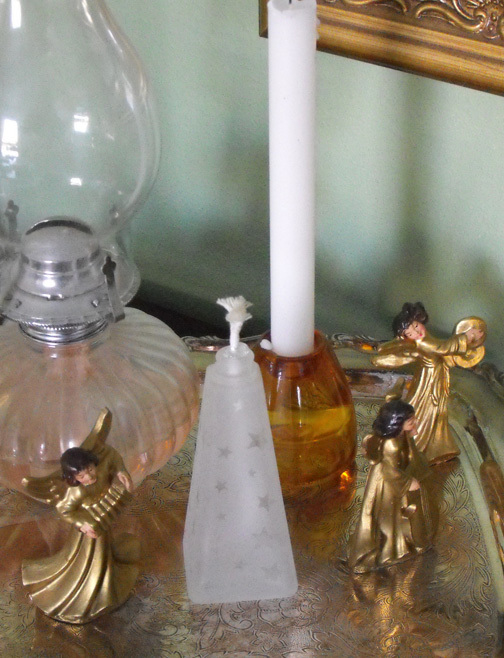 The category for Highlights 2015 Fiction Contest is mysteries. As with all submissions, Highligts welcomes work from both published and unpublished authors. 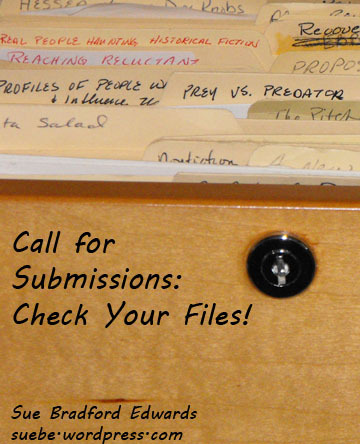 All submissions must be previously unpublished and not found online. No crime, violence, or derogatory humor. Word count is limited to 750 words; note the actual word count in the upper right-hand corner of the first page of your manuscript. When you get your contest entry ready to submit, market it or the envelope FICTION CONTEST. Any submissions not marked for the contest will be considered a regular Highlights submission. All entries must be postmarked between January 1 and January 31, 2015. Three winners will recieve a prize of $1,000 or tuition for any Highlights Foundation Founders Workshop. The three winners will be announced on Highlights.com in June 2015 and their entries will be purchased by Highlights. All other entries will also be considered for purchase by Highlights. For submission address and all rules, visit the Contest web page. Consider this offering an early Christmas gift from Publisher’s Weekly. As writers, we read award winners and starred reviews, trying to learn their secrets. How did they do it? Publisher’s Weekly has made this a bit easier by creating a listing of all 2014 starred reviews in children’s books. Not only do you have all of the starred reviews in one place, the publication also contains an article on sleeper bestsellers, Question and Answer interviews with illustrator Molly Idle, photographer Vallorie Fisher, author Sheila Turnage and more. Download your copy today, request the books themselves, and start studying. Me? I’ve already requested copies of Sam and Dave Dig a Hole by Mac Barnett and My Teacher is a Monster (No, I am not) by Peter Brown. 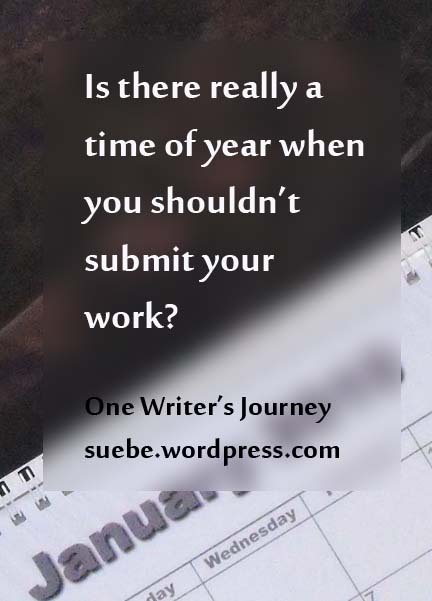 Should you submit your work in December? If you do, how likely is it come swiftly home, the victim of December desk cleaning? This is one of those great debates in the world of freelancing. Is it worthwhile to submit your work in December or will someone who wants to clean off their desk simply make it be gone? I’ve always sent my work of in December but I think that may change. Yesterday, I saw two postings asking writers to wait until some time in January. Jennifer Laughran of Andrea Brown Literary is closed to queries until January 12, 2015. See the request here. Susan Hawk of the Bent Agency is also closed to queries through January 12, 2015. See the request here. If you have an editor or agent you want to query this time of year, don’t assume that they are open. Google them. Check their blog. Check their site. Does it say they are closed to submissions? If the answer is yes, they are closed, than don’t send it to them right now. If the answer is no, they are not closed, send away. January through December check and make sure an agency or publisher is open before you submit.